Welcome to “hour of power”. Own a piece of history; the hidden gem once owned by dr. Robert h. Schuller. Come thru the private gate filled with a park-like setting, breathtaking gardens with fruit trees, bridges, koi ponds, waterfalls, patios, along with a large sparkling pool and spa. 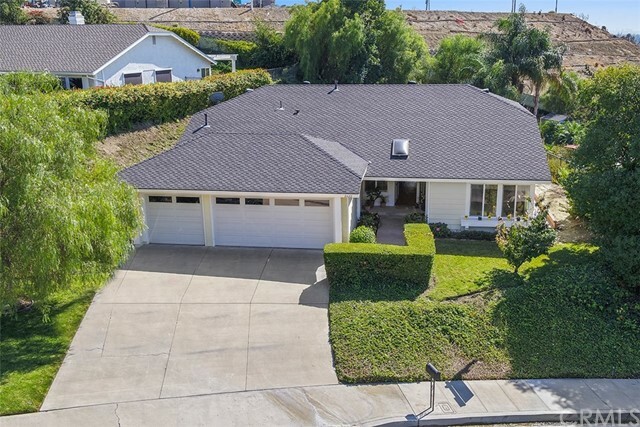 This rare gem is near shopping, entertainment, schools, many restaurants along one that overlooks the beautiful city of orange, and an easy access to freeways. This sprawling single level property truly embraces the natural beautiful grounds originally a park designed by the famed architect of busch gardens. The many windows thru out allowing abundance of natural light and views from all angles; situated on 3/4 of acre, ideal for any grand entertainment. Add-on guest property if wish, with its very own entrance from esplanade. You don’t need to look any further. Centrally located, a great place to call home. Thank you for listening because you absolutely do not want to miss this opportunity to own a piece of history and create your own. Listing Agent: John Mcmonigle Listing Office: Residential Agent Inc.
Can see forever astonishing views of catalina, the horizon and of course a front row seat to the disneyland fireworks. This view is truly one of a kind. Enjoy the park like setting of the enormous 13,600 sq. Ft. Lot that is fully enclosed by natural gentle elevations ensuring complete privacy. This lot is truly private so the natural setting is truly picture perfect. 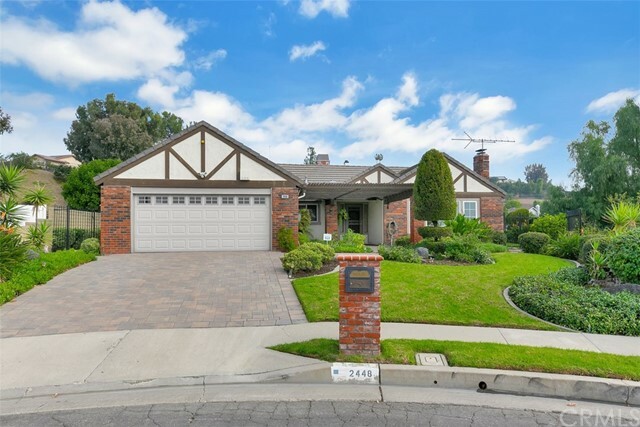 The over sized 3 car garage complements this charming cheerful family home on one of the most adorable streets in orange. This penthouse location is at the top of the hill with a cul de sac for yet even more privacy. You will be at a loss for words as we have the perfect combination of the views, the location and best of all one of the finest private high schools is just a minute away! Orange lutheran high school. Once you arrive come on in and stay for awhile and have a seat out at the most charming outdoor patio just off the way from the custom french doors accentuated with the most beautiful wood accents. Enter in upon the truly beautiful engineered wood flooring throughout most of the spacious open living space with the fireplace and family room open to a very large kitchen with custom white counter tops for a truly natural ambiance. There are so many windows to let the sun shine in. This house is so cheerful just like it's owner. This home has only had 2 owners!our current owner loves it here! The spacious master has a giant walk in closet and the fine dining room is just off the kitchen. Single story! Listing Agent: Donna Dostalik Listing Office: Remax Unlimited R.E. Lovingly restored 1923 craftsman. 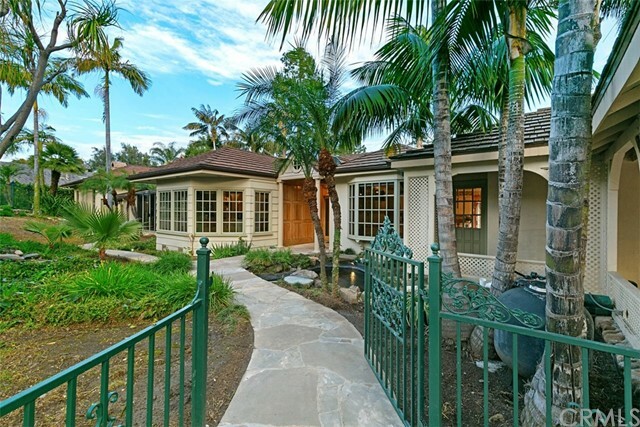 In two words, period correct would describe this remodeled historic home. This property is already on the mills act, property taxes in 2018 only $2699! Beautiful landscape accent the home with its majestic full width front porch and you can see the original glass in the large picture windows that flank the front entry door. 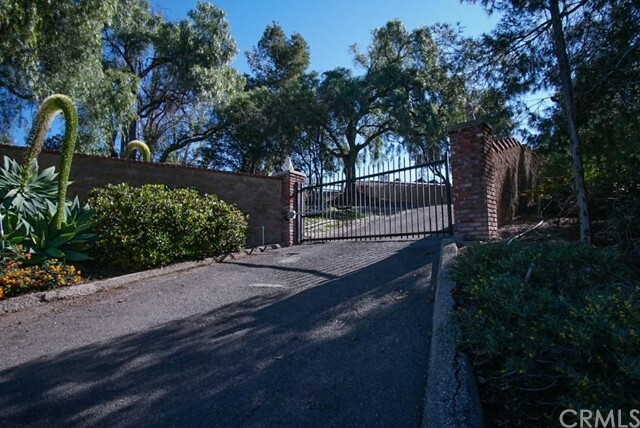 The gated driveway entry allows for parking in front of or behind the automatic gate. Inside the open floorplan says welcome home. Original oak hardwood floors throughout the house. The formal living room features a brick gas fireplace, picture rails, vertical grain douglas fir molding, single panel doors, original hardware and period correct light fixtures. The formal dining room has a classic built-in china buffet with glass display doors and carriage porch doors with opening sidelights out to the driveway where the proud owners entered the home before the horse/buggy went into the barn. The kitchen features period correct tile counters, original cabinetry including a cooler cuppord and the original sugar and flour bins. Built-in ironing board, custom lighting and glass display cabinets adorn the room. Cozy breakfast nook with built-in. A butlers pantry has custom cabinets with pull out shelving and storage area. The main bath features a pedestal sink, period tile counters, original cabinets. Bedrooms have walk-in custom designed closets. Family room w/fireplace, basement, wash room, pavered patios & park like yard. Welcome to 5116 e glen arran lane nestled in the hills of east orange. This home offers total privacy and is surrounded by large tree's, citrus tree's, and offers over 35,000 square feet of land to explore. This 2 story, 3 bedroom, 2 1/2 bath home has been updated and very well taken care of. Upon entering you will find an inviting foyer with abundance of sunlight, and leads you to the spacious family room that is anchored by a brick fireplace to stay warm on cool nights. Wall to wall dual pane windows on the east side of the room provide mountain views to enjoy your morning coffee & conversation. The adjacent dining room will accommodate large family gatherings and has room to sit and relax while enjoying the views. The updated kitchen has designer cabinets, custom granite counter tops, large island, and updated stainless steel appliances. Upstairs you will find 3 bedrooms, a den/office, new carpet though out, and new 4" baseboards. The master bathroom has been professionally designed with a neutral color pallet, and has all the amenities of a luxury suite. Surrounding the property is wood decks,, and an additional balcony. Additional features include a 400 square foot bonus room, and ample parking for multiple cars, boats, or rv. It feels like your at a mountain resort, but close to freeways, toll roads, and shopping. You’ll love this palatial meredith home in a wonderful orange neighborhood near the border of villa park! 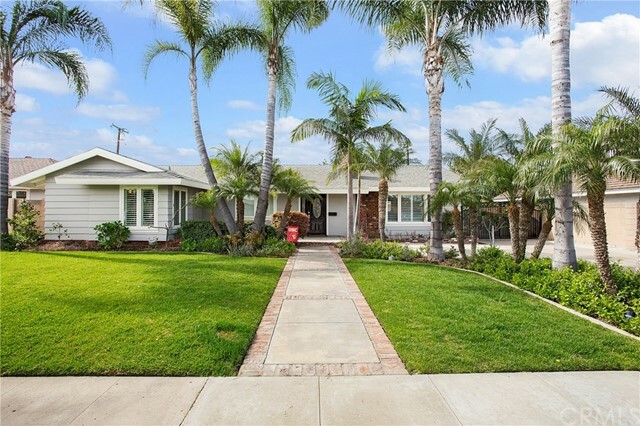 With a quiet, inside tract location, the home has wonderful curb appeal. The roomy floor plan provides loads of quality living space: formal entry, large living room with picture window, big separate formal dining room, huge kitchen with generous breakfast area and immense separate family room with stone faced wood burning fireplace! Double doors lead to the master suite with a walk-in closet. The 2 car finished garage has direct access to the home. The rear yard is a tropical paradise with sparkling pool, above ground spa, two covered patios, built-in bbq and a well-built storage shed/workshop on the side of the home. There is fresh paint inside and out and central air conditioning. It’s a short walk to great shopping, restaurants and fantastic local schools! Listing Agent: Daniel Slater Listing Office: Orange Realty, Inc. Excellent opportunity for someone looking for a dream home that was made for entertaining. 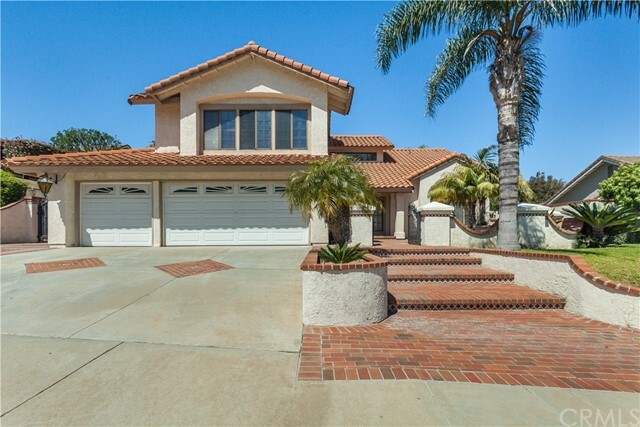 Located near cowan heights, this two story home has 2,478 sq. Ft. With 3 bedrooms 2 1/2 baths and a spanish colonial tile roof. The oversized backyard centers around the custom rock pool with a rock slide and built-in bbq entertainment center. A palapa adds shade and comfort for the summer months. This backyard is perfect for those outdoor nights and warm summer days. Recent upgrades have been made to the pool and spa which include a salt water system. The pool has 7 waterfalls that makes this property a private oasis. 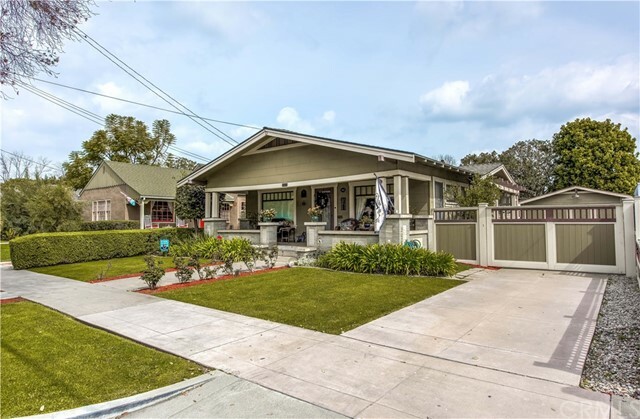 Just minutes from chapman university and historic downtown orange. Located in the award winning school district of orange unified. Get out and see this one quickly, it will not last long. Beautiful ranch-style pool home in the desirable neighborhood of orange is ready for its new owner. The open floor plan, cool gray color schemes, upgraded tile floors, recessed lighting and crown molding make for an elegant space. The gourmet kitchen features gorgeous quartzite counter tops and full backslash. The stainless steel appliances include the refrigerator, range and hood, convection oven, microwave, and dishwasher. The white maple cabinets and a large center island with breakfast bar seating provide plenty of storage space. The large dining area with a huge slider overlooks the pool with bright natural lighting adding elegance to the room. The living room boasts brilliant natural light from the large windows, plantation shutters and stone fireplace with plenty of room to entertain. The secondary bedrooms are a generous size and share a full bath with granite vanity and inside laundry with storage. The master bedroom features a private bathroom with dual sinks and shower. Enjoy the sprawling backyard with a sparkling pool, trex deck and ambient backyard patio lighting throughout. Detached garage, long driveway with gate and rv parking. Additional features include a /c and a fully landscaped front yard. 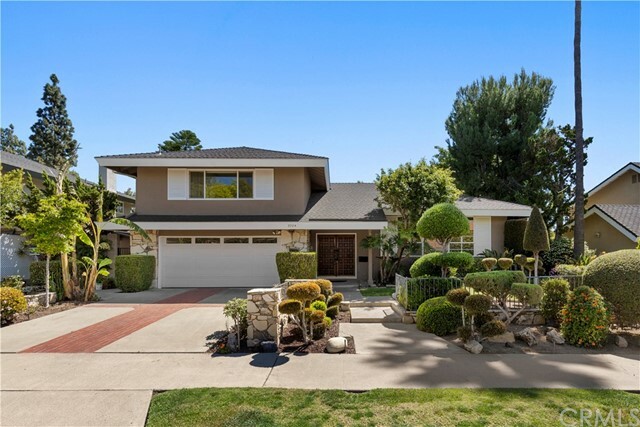 Close to award winning schools, shopping, entertainment and easy 55 fwy access. Must see all the upgrades and more. Welcome home!